Because top-level executives like this guy didn't know the difference between exponential growth and quadratic growth! Scanned from Telesis Magazine Issue 102. 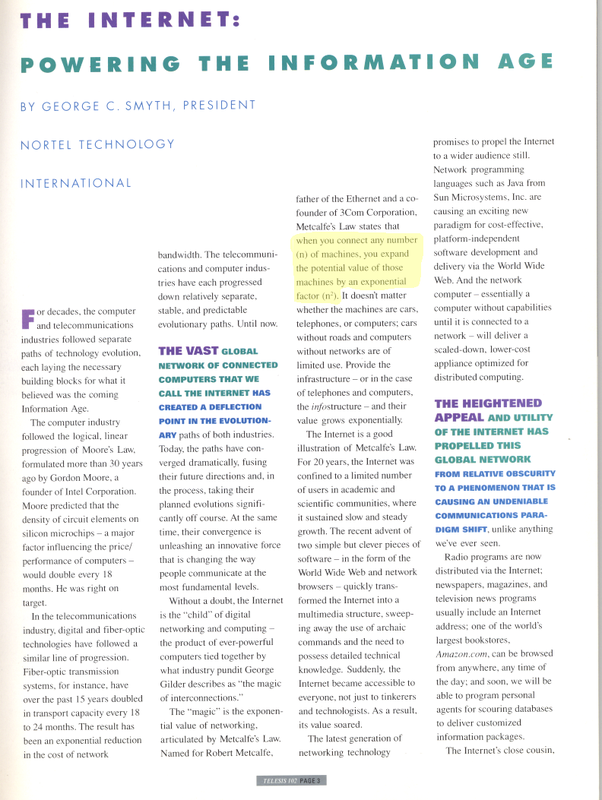 "Telesis showcases Nortel's advances in telecommunications research and product development and its leadership in designing, building, and integrating digital networks of all kinds and sizes around the world."